54 Ipads were donated to our wounded warriors. Thank you to Heroes in Transition for helping to purchase these Ipads. Fort Belvoir WTB- Operation Santa: adopted 8 families in 2010, 11 families in 2011, 34 families in 2012, 40 families in 2013, 48 families in 2014, 58 families in 2015, 44 Families in 201, 52 families in 2017 and 43 families in 2018 providing gifts for their families and items they need while living in WWTU housing. In 2013 - 2018 hosted the "CCC4TT Christmas Party" for our wounded soldiers and their families. 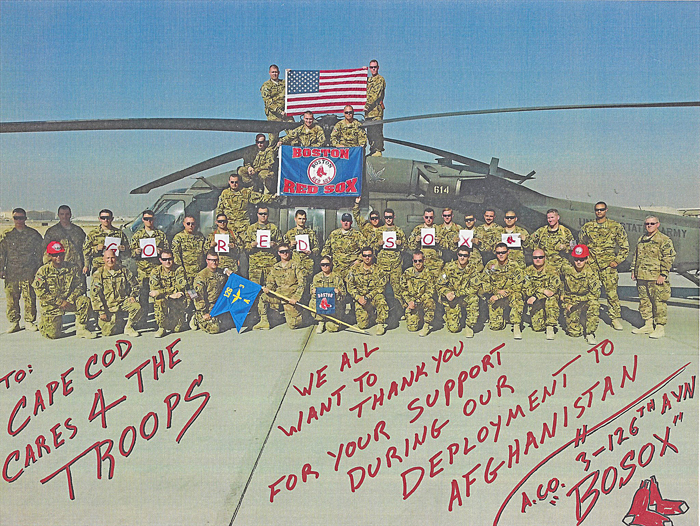 46 boxes of supplies were sent to deployed canine handlers as part of our "Rocky's Warriors" program. Funding available to help military families in need of food gift certificates, assistance with heating fuel, home and automotive repairs, etc. In 2014 hosted an Easter Party and BBQ for the families at Fort Belvoir's Wounded Warrior Battalion.